I grew up in Columbia, Maryland and attended Howard County Schools K-12. I was a member of my high school state championship football and basketball team at Wilde Lake High School. I earned a football scholarship to attend Eastern Illinois University, where I majored in Physical Education and was a member of the pre-season All-American team before a season ending ACL injury. I graduated as a honor roll student-athlete and a member of the All-Academic team from the Ohio Valley Conference. 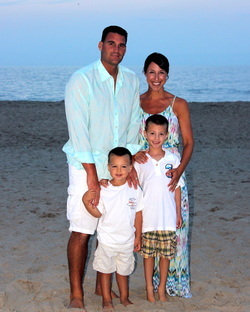 I began my teaching career in 2002 at Oakland Mills High School as a Physical Education teacher. During my time there, I was the Head Coach of the Varsity Football team for 2 years, the head coach for the varsity softball team for 2 years, the head coach of the allied softball team for 2 years, and coached the girls' varsity basketball team for 10 years. During this time, I completed my master’s degree from Emporia State University in Physical Education. 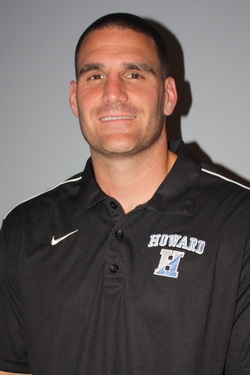 This is my 13th year as a HCPSS teacher and my second year as a Howard Lion - I am beyond thrilled! I currently teach Lifetime Fitness, Sport for Life, and Weight Training. I am also the Head Varsity Boys' Basketball Coach. LIONS PRIDE!! I have been blessed with an amazing support group! Three of my biggest supporters have always been my wife, Jill, and our two boys, Blake (6) and Cole (3); along with, my parents and the rest of my family. If you attend Howard sporting events, especially Basketball, you will see all of them there cheering on the Lions! Athletics and fitness have always been a part of my life and I enjoy passing my knowledge and expertise onto my students. I also take great pride into getting my player’s into college for athletics and helping them accomplish any goals they may have. Fitness should be fun and exhausting at the same time. Hard work, dedication, and commitment are three words that I live by and hope to pass onto my students and athletes as well! This is going to be a great year!